The title Odumeben N'Oba means bronze caster to the Oba (king). The Odumeben N'Oba are given franchise to practise as part of the guild of the king's bronze casters. They were and still are based in a special area of Benin called Igun Street in Benin City. Here is the story of the first Royal Blacksmith to practise outside of Igun Street Benin City. 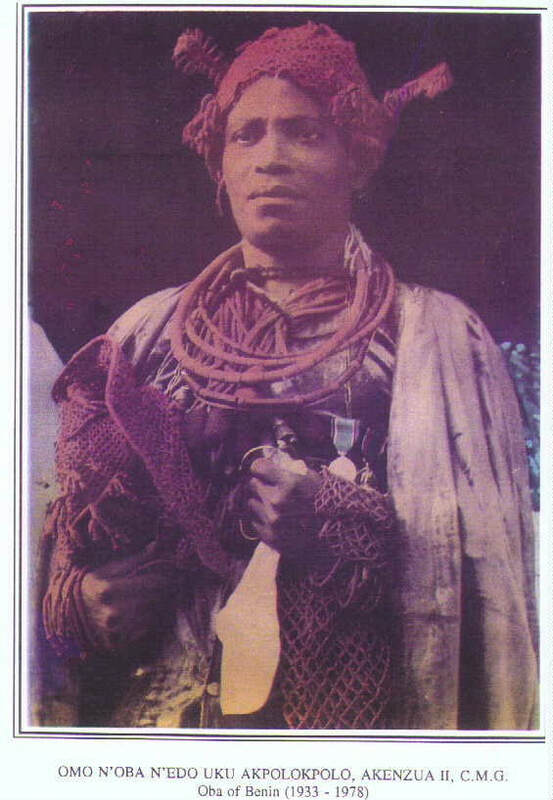 Odumeben N'Oba Aigbogun was an accomplished royal blacksmith entitlement by birth. His mother Iyomon was a princess from the royal palace of Benin who met and married Omeike from the Benin nobility in Igueben (north east of Benin city) in the early 1900s. Igueben translates as 'a town of producers of eben' and eben is one of the kings' royal emblems. 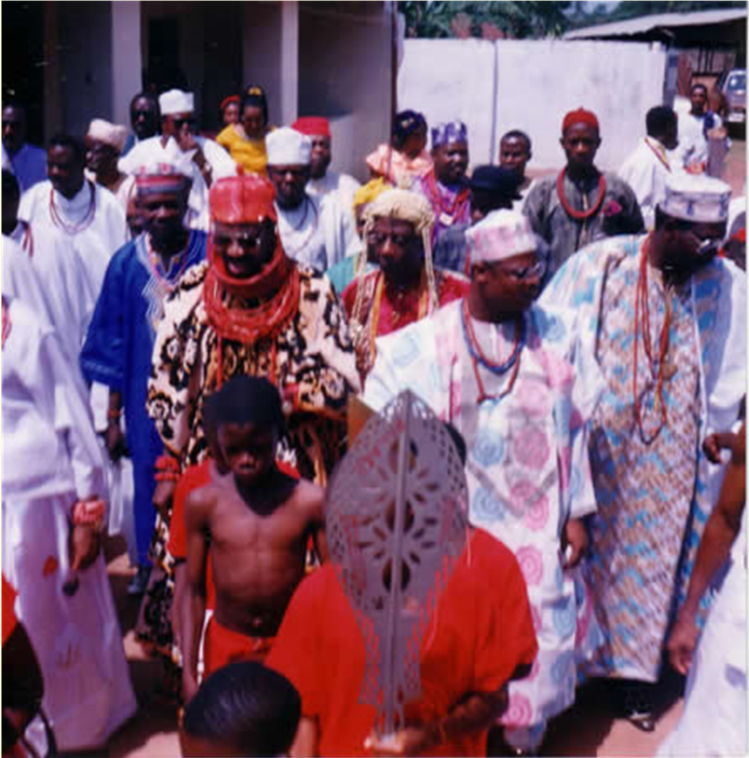 Even though, Prince Aigbogun was born and bred in Igueben, his outstanding blacksmithing skills were accepted by the royal palace at Benin and in 1948, he was conferred with the title Okan-eben Osangue by Oba Akenzua II. Only blacksmiths with a franchise from the Guild of Benin Royal Blacksmiths were entitled to practise as bronze casters. The penalty for breaking this was execution in the old kingdom. The penalty remains severe to this day and no one would dream of breaking this tradition. 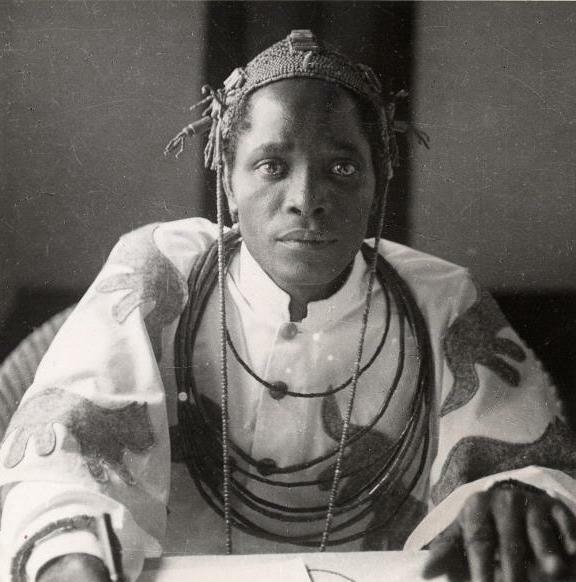 Odumeben N'Oba Prince Aigbogun died in 1964 leaving his title Osangue to one of his younger sons. As this is not a hereditary title his first born son did not have an automatic right to inherit it. His first born son inherited his chieftain title. Odumeben N'Oba Prince Aigbogun's descendants may practise as bronze casters should they wish. This entitlement is by birth as skills are passed down from generation to generation. In the modern era, anyone without a birth entitlement wishing to practise as a bronze caster can do so by gaining a recognised certificate as member of the Guild of Benin Royal Blacksmiths. Training for this takes many years. Bronze casting continues to be used as a communication art form to record events, capture people's achievements for posterity and for aesthetic purposes. Many people use bronze sculptures to decorate their houses and to show off their opulence. Carved wood and terracotta sculptures are also used for the same purposes. ​This is one of the legacies of the Great Kingdom of Benin kings.